There was a time when missionaries were portrayed as heroes. Dr. David Livingstone, missionary to Africa in the 1860’s, was revered in America and England, and reporter Henry Stanley’s search for him was the stuff of legend. 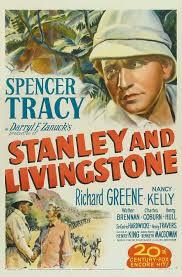 (The two men were portrayed by Spencer Tracy and Cedric Hardwicke in a 1939 film.) “Dr. Livingstone, I presume” was a catchphrase before anyone talked about catchphrases. A person who braved the jungles to save the natives who lived there was universally admired. But the image of the missionary has changed greatly in popular culture. 1998’s bestselling novel The Poisonwood Bible by Barbara Kingsolver portrayed missionaries as less admirable than the people they went to serve. The Price family left Georgia for the Congo to bring not the hope of the Gospel but judgment, sanctimony, and perhaps even madness and evil. The missionary is no longer assumed to be a hero. 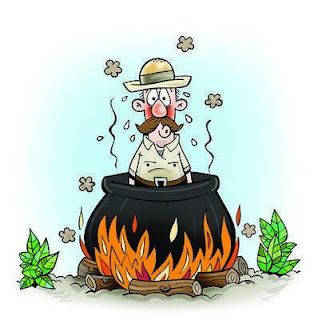 A Westerner bringing hang-ups from civilization to the free residents of nature is assumed to be a villain. But the life of a missionary is a fascinating one, and missionaries continue to be the subject of films, so this month we’ll look at films about missionaries -- starting tomorrow with an MGM film the Golden Age of cinema, 1941’s Keys of the Kingdom. We’ll finish the month with a film released last year from one of our greatest filmmakers, Martin Scorsese -- Silence. There’ll be some very interesting films in between, too!